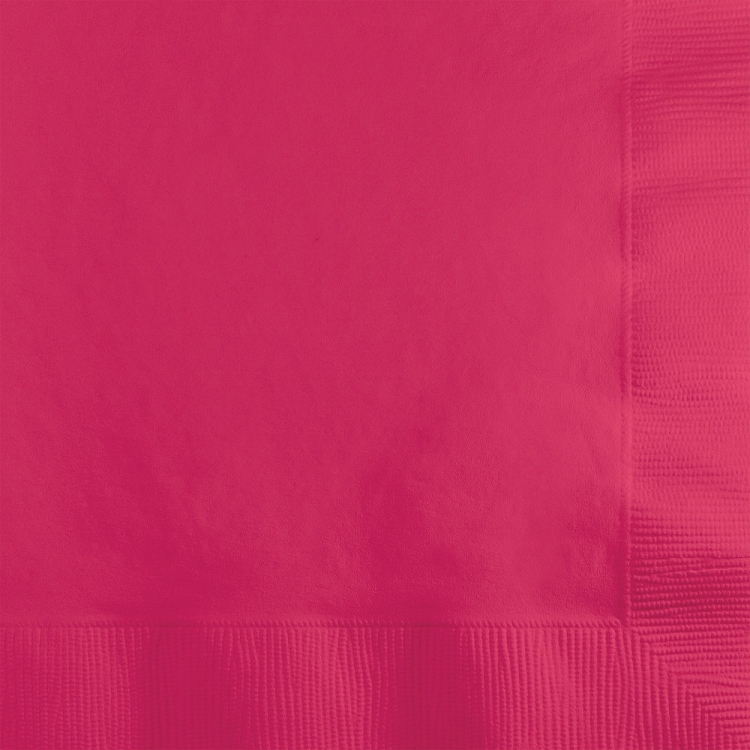 Our solid hot pink cocktail napkin is the perfect accent to your next party. This napkin is 2 ply and 5 in x 5 in, making it great for beverages. Pack of 50 napkins. Save 10% when you buy 5 packs. Save 20% when you buy 10 or more packs.